We have conducted a compound pendulum experiment using Arduino and an associated two-axis accelerometer sensor as measuring device. We have shown that the use of an accelerometer to measure both radial and orbital accelerations of the pendulum at different positions along its axis offers the possibility of performing a more complex analysis compared to the usual analysis of the pendulum experiment. 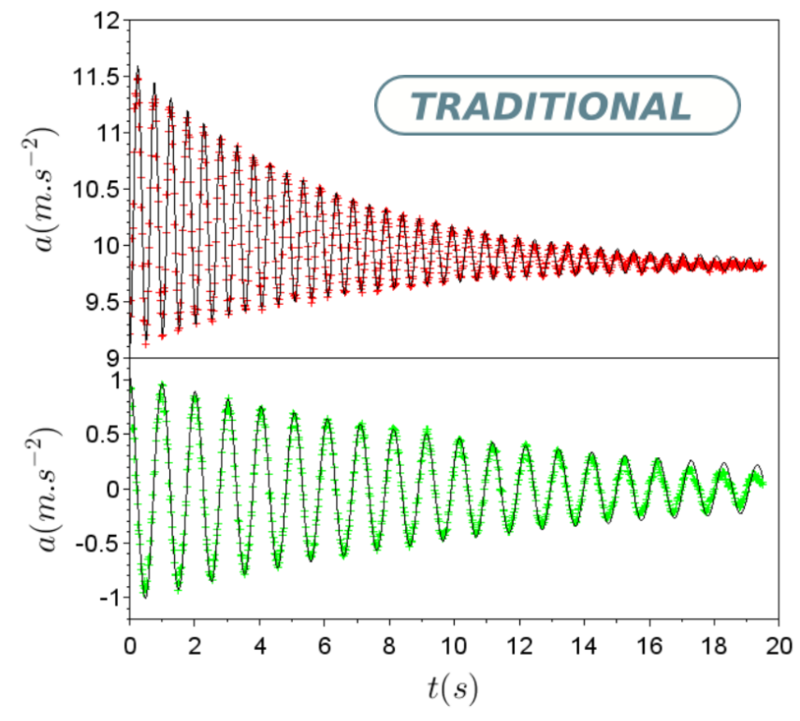 In this way, we have shown that this classical experiment can lead to an interesting and low-cost experiment in mechanics. Cite as: C Dauphin, F Bouquet, Papers in Physics 10, 100008 (2018). This paper, by C Dauphin, F Bouquet, is licensed under the Creative Commons Attribution License 3.0.